President Muhammadu Buhari will on Tuesday (today) embark on a four-day medical trip to the United Kingdom. According to a statement by his Senior Special Assistant on Media and Publicity, Garba Shehu, the President’s trip is at the instance of his doctor. He said Buhari would return to the country on Saturday. The statement read, “President Muhammadu Buhari will tomorrow (Tuesday) undertake a four-day trip to the United Kingdom. “The doctor requested the President to return for a meeting, which he agreed to do. Buhari had, between February 5 and 10, 2016, embarked on a six-day vacation to London. After missing public events, including three consecutive weekly Federal Executive Council meetings which raised anxiety in the country, Buhari on May 7, 2017, returned to London for medical consultation. Meanwhile, the Peoples Democratic Party has asked President Buhari to stop deceiving Nigerians about his health and other national issues. 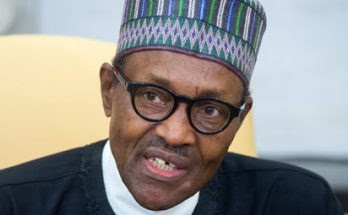 The National Publicity Secretary of the party, Mr Kola Ologbondiyan, who spoke with one of our correspondents, said it was a pity that the President lied to Nigerians about the stop over he had in London a few days ago. He said, “ The President should stop deceiving Nigerians about his health and other issues. “Why did he lie that he merely had a technical stop over in London? He should take Nigerians and Nigeria seriously.